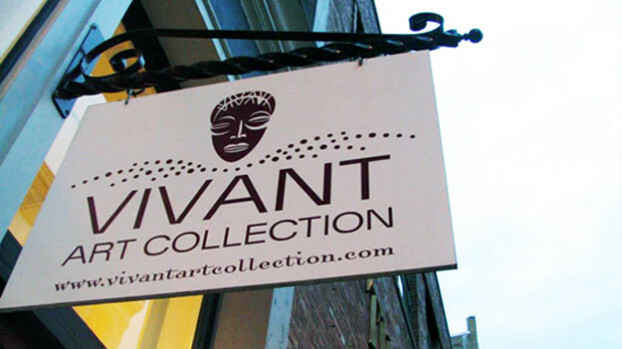 Florcy Morisset is the founder and curator of Vivant Art Collection, a Philadelphia-based art gallery dedicated to displaying and promoting Haitian and other Caribbean art in the United States. Haiti, sharing the island of Hispaniola with Dominican Republic and the Taino indigenous culture, was colonized extensively by both Spain and France, and still boasts a rich African influence today. Inextricably tied to her native Haiti, Morisset opened her gallery in Philadelphia’s trendy Old City neighborhood in 2007 and is committed to promoting wider access to the vibrant art and culture stemming from Haiti’s complex history at the crossroads of empire. How did this gallery begin? I’m Haitian, and it starts there. I had this idea of wanting to give back. In my country–in my culture–you only have two choices: you become a doctor, or you become a lawyer. I decided that neither one would be suitable for me. I felt that I didn’t want to serve my community in that capacity. I said that I wanted to work in the cultural world. I thought that showing Haitian art would build an affinity for Haiti. People would not believe that Haiti was completely poor and politically stricken; they would be able to see some of the beauty that I see. It quickly started with Haitian art. Within the first two or three months I did Haitian exhibits, and then it expanded. I decided that since there were so many other countries and cultures I wanted to highlight, I would go into African, African-American, Cuban, Middle Eastern, and Mexican. I realized that I found a voice. I wanted to speak for cultural art that people don’t traditionally find in Old City Philadelphia, let alone in the Art world—art that’s not truly celebrated. That was the beginning. Now we are here, six years later, and I can say that I’ve made a great decision. As you watch art galleries close left and right, to say that I’m still standing, and still staying true to my mission, I feel that I’ve accomplished something, and this something is very special. What characterizes Haitian art? What are some of its dominant features? Haitian art is very special. For a lot of people, when they see it, they know it. Some would describe it as “primitive” or “naïve” art, possibly because a lot of the artists are self-taught. The art became more popular globally in the 1980s when tourism was high for Haiti. A famous doctor loved the art. He brought it to international attention, and in the art world, it became very popular. These artists began to create more, but deviated a bit from what they traditionally would create. So, historically, we’re known for vodou art, which is very cultural-specific and speaks to our spiritual freedom—and is tied into our complete freedom, realistically. You also find these lush marketplaces where they have fruits and vegetation, and a lot of brightness and beauty. Some would say we use a lot of parables and symbolism in the art. During the 1980s when the art was becoming popular, even though Haiti was under a dictatorship, artists were able to embed coded messages in their artwork and speak to the masses. Artists were able to speak to the world through their work. You’ll see a jungle scene with leopards, tigers, giraffes, and elephants, but people will say, “There are no elephants or giraffes in Haiti!” And the artists are saying two things. First, because Haitians are from Africa, they were inspired by this African spirit and were able to paint this from this collective memory. Others say it’s a bit of coding—which I agree with– and the animal characters are representative of the political world. So you’ll have a tiger or lion, which would represent the Tonton Macoute, the militia, and the giraffes with these elongated necks, which were the overseers—the people who watched—and then you’d have the zebras. The Zebras were the politicians and lawyers and judges: the black and white, the good and evil. So traditionally, we have the marketplace scenes, the vodou, and the political art. Tell me about the symbolism and its manifestation in art today. In current Haitian art, a lot of the artists are self-taught. Looking at a lot of the work today, it feels very different: it’s very modern, new styles and techniques, and different mediums. Originally, pre-colonially, you had a lot of carvings, because they didn’t have canvas. They were using it for documentation, for language. Later, the Spanish entered and they were able to bring these other mediums. The Haitians used art to document historical changes: the Christopher Columbus characters who were part of the history. In the late 1700s, we had a lot of influence from the French. We had one of the first schools. The military generals of the time wanted portraits of themselves. They were adorned in such beautiful uniforms. You can see in the art the honor and respect. They wanted their stories to continue to be told. A lot of the art from this point and even to today is for the purpose of documenting for posterity. That hasn’t changed. What has changed is the technique and the medium. Currently, we see a lot of airbrush: it dries faster, it’s cheaper than paint, it moves. Taino Indians were using carvings. Haitians, even to this day, paint on whatever they can get their hands on. They’re painting on t-shirts, denim, sheets, tablecloths, drapery. I have a piece now that you can tell was drapery. It has a lovely floral print in the background. It’s this idea of finding new in old and bringing old back to life and making it part of our collective cultural story every day. What are the common threads you notice in the other countries you’ve incorporated into your gallery. It’s the color. It’s the story. There’s always a storyline. For cultural art, for Diaspora art, it’s important for the artist to continue to tell our story. It’s about continuing to keep this history in the light. You see now it’s still not art for art’s sake. It has a meaning. In some contemporary art, artists say that they are creating just because they want to. No: these artists are creating because they want their stories to continue to be told. So you have a lot of daily life, a lot of culture, history. You have the land and the use of the land. The marketplace, the landscape, the interaction. These threads stretch over all Diaspora. With the historical events happening currently in Haiti, where do you see its art going, as far as the people who are still in Haiti? I go to Haiti every year. Six years I’ve been doing this, and what I’ve noticed is that the art has developed. I mean what I got six years ago and what I’m getting now is so different. Artists survive because of the people who buy their art– same as it is here in the U.S. now. Now you have a lot of NGOs and a lot of tourists from Europe who are coming in and a lot of tourists buying the art. Now, you find a lot of beautiful women in the art, and you find a very polished look because they are using airbrush and they are mixing airbrush with acrylic, but it’s very flat. You have to give the people what they want. What I love about my Haitian people is that they won’t sell their souls. Even though you have these beautiful women, they’ll be rising out of the ocean, rising from the earth, rising from ashes. So it’s this storyline of the phoenix rising from the ashes, as if to say: We are alive. We are not dead. We have survived. The woman represents the People. These works are spiritual, referring to Oshun and LaSiren, the mermaid, the water goddess. You see the colors and know that there is still a message. We have not forgotten. The artists are still able to spread their messages to new people who can receive it in a new way. 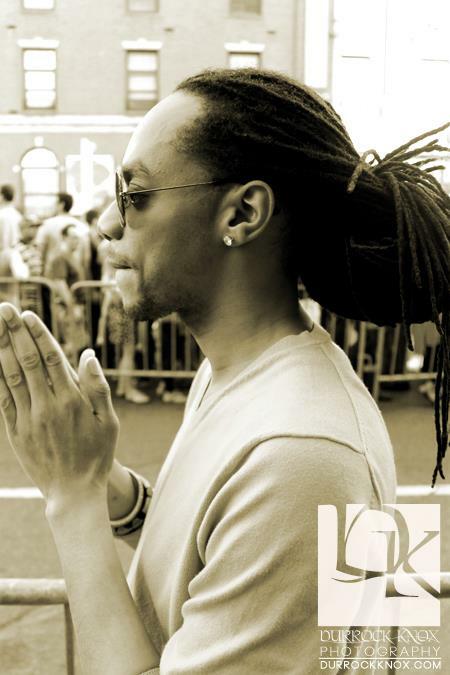 Vivant Art Collection is located at 60 N. 2nd St, Philadelphia, PA.
V. Shayne Frederick: V. Shayne Frederick is a poet and musician based in Philadelphia. He owes part of his sensibility to his North Carolina roots, his study of Jazz, and his affinity for all things liberation. Frederick’s self-published work explores the art of concision and the bravery of truth.